As soon as I've seen Baking Tray's advertisement of their new menu dishes on Ansam518's blog yesterday, I knew I had to try them the next day (today), which I did. In addition to our usual favorites The Roast (link of previous post on cafe) and the Chicken Avocado Garlic sandwiches, we had the new lasagne bolonaise, garlic bread, and chocolate ganache cake. Oh my I'm still rather full of this hearty lunch! 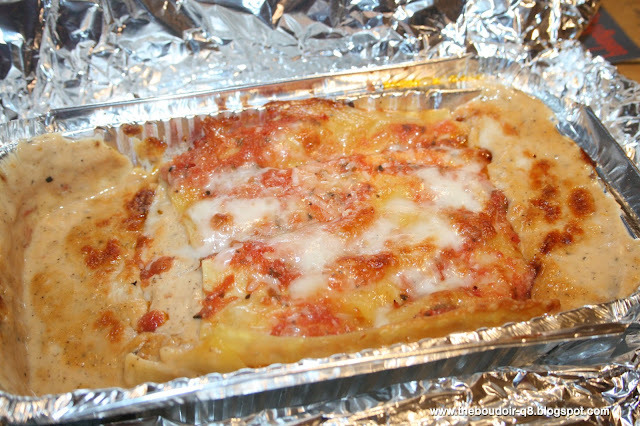 The lasagne dish although regular in size, can be enjoyed by 2-3 persons. 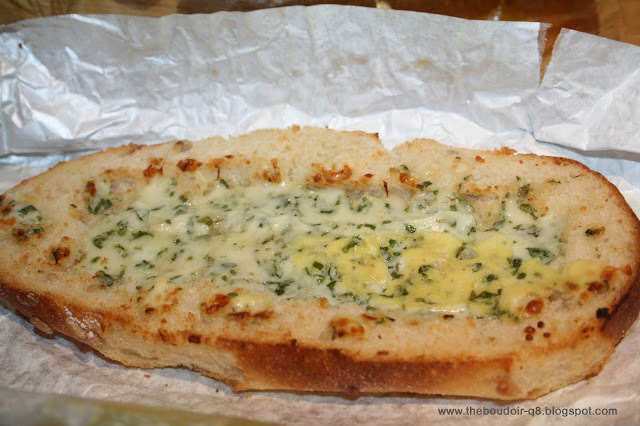 The garlic bread is a meal by its own, humongous, and we likened it to a ship! Leave you with the pictures and I assure you both bread and lasagne taste better than they look in these pictures. the garlic bread 3ajeeeeeeeb and the roast is perfecto! regarding the lasagne i have tried kil anwa3 o wala shay 3ajabny so i thought maybe i don't like it a9lan! but i said let me try this one looks different and special and it really was GOOD! 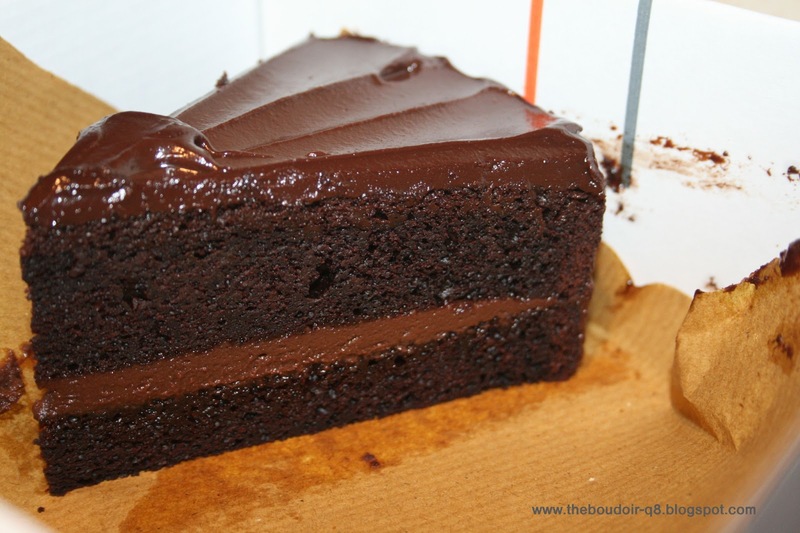 mavie ma joi the best thing is the creamy sauce yum!